Putting together a collective history for a project like this, of something you were at one time near the heart of, inevitably ends up being a series of missed opportunities. Roy Carr, late of NME, died at the weekend, aged only 73 — and I’m sad because I knew him for a while and he was a nice man, always friendly and funny and just boundlessly enthusiastic. He ’s emblematic to me of a time I have complicated feelings and personal regrets about, and now I find myself wishing I hadn’t taken his talents and his presence for granted when I worked alongside him. Even in the 80s he was an institution: I should have grabbed my chance and sat him down and got some stories out of him. Everyone in journalism has stories of course, but he had a thousand, going right back into the early 60s, and they were generally hilarious and scurrilous and some of them could never be told publicly. He’s also very much emblematic — as compiler-curator and the person who organised the permissions — of the world glimpsed in the image above: that amazing little wall of excellence. 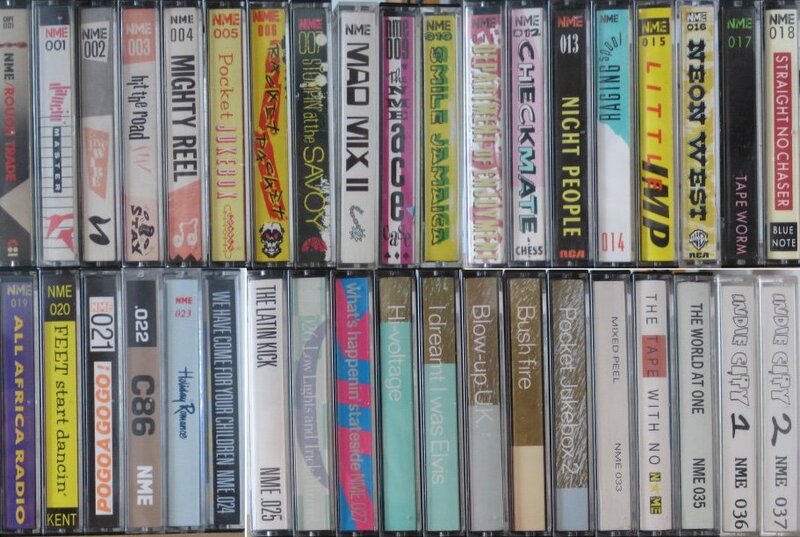 These are the nearly 40 cassette tapes that NME readers could obtain via the paper in the course of the 80s, as guides to whole worlds of music. As a writer, I’m entirely committed to the idea that words can open places up for you — but I don’t think anyone would deny that many of these collections were worth pages and pages of prose to a music paper, simply to establish its unimpeachable ambience of expertise and its remit to cover everything, past and present. The fashion was shifting — some rivals had already tossed both ideals overboard, wastefully and clumsily, and niche-marketing and nervous over-attention to narrower reader demographics were pressing everywhere — but for a few key years, Roy’s contribution helped NME stand invaluably stubborn against this tide. And I see that I seem these days to be missing fully 10 of them, when once I owned them all: because items this good go walkabout as the years pass. But what I’m lamenting right now, alongside fond memories of a one-time colleague, are the untold tales of all the backroom deal-making that also went into this, the horse-trading and the arm-twisting and the tantrums. All the questions you don’t think to ask until it’s too late. 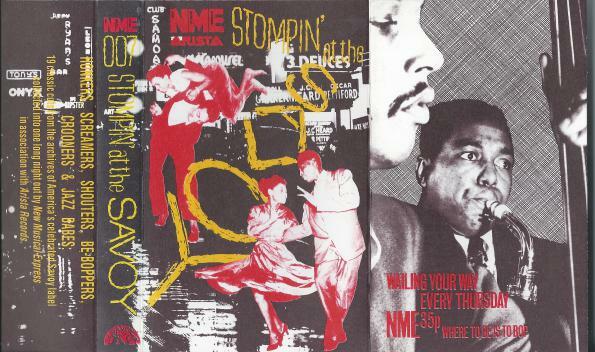 Roy Carr also compiled the handful of EPs attached to the NME between 1985-87, which had the same horizon-expanding effect in condensed form to a still-wider listenership. 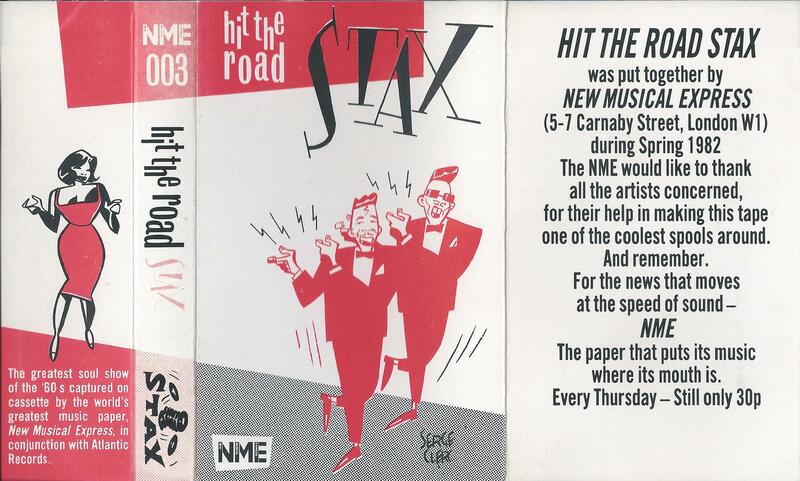 There was some good stuff on those – Steinski & Mass Media, Sly & Robbie, Trouble Funk, Husker Du, Miles Davies. Yes, true — and CDs for Vox and/or Uncut in the 90s, I think. Cindy Stern was wondering on Facebook what input Roy had with NME‘s cover-mounted flexis in the 70s: the clips of Monty Python sketches, and so on. Not quite sure what you mean by a “still-wider listenership”, as NME‘s readership had dropped somewhat between the early and the mid-80s (it rose again later I think). Though I guess the cassettes only went to those who paid and wrote off for them — they weren’t actually attached to the cover, and free, which those singles were. I have a case of cassettes handy containing most of these. If you’re interested for copies or details please let me know. I loved Roy Carr’s work.